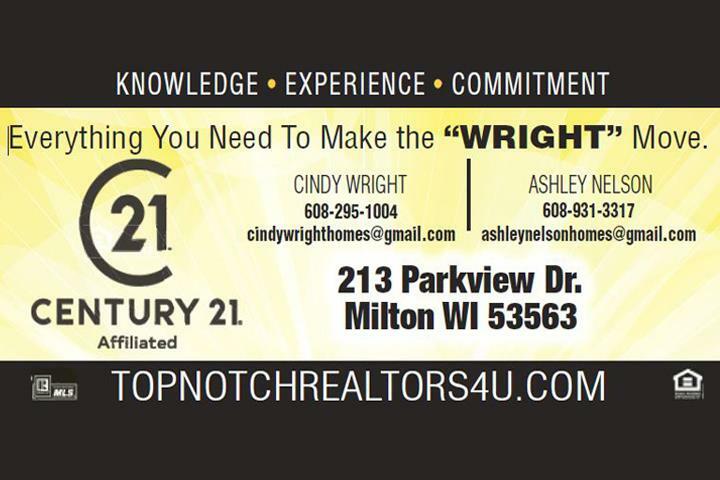 Century 21 Affiliated - Milton, in Milton WI, is the area's premier real estate agency serving Jefferson, Rock, Dane, Walworth and Green Counties since 2011. We specialize in residential and commercial real estate. 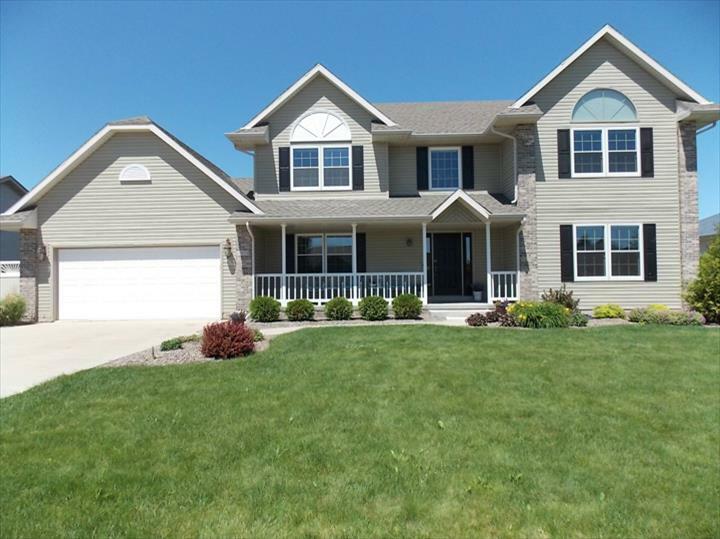 For more information, contact Cindy Wright or Ashley Nelson at Century 21 Affiliated - Milton in Milton. Our mission is to empower, encourage, and educate our clients to achieve their goals by providing cutting edge resources and superior accountability, while practicing integrity, fairness, skill and due diligence. We would be pleased to have the opportunity to work with you and guide you every step of the way. Established in 2011. 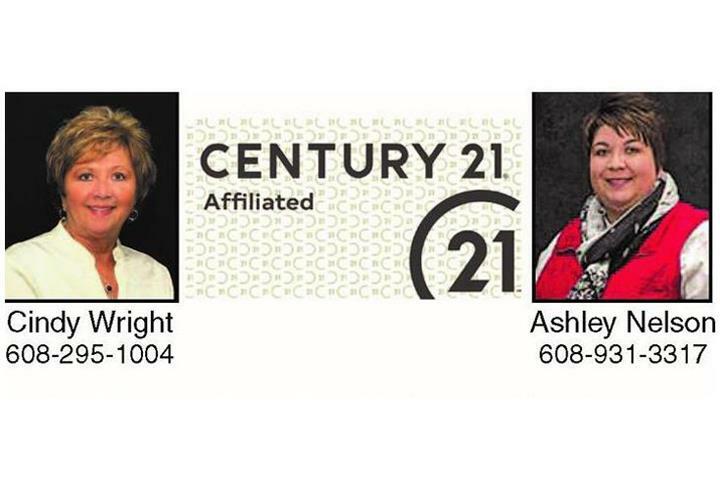 Century 21 Affiliated - Milton is proud to serve our local area which includes Jefferson, Rock, Dane, Welworth, Green Counties and Milton, Janesville, Whitewater, Edgerton, Evansville, Fort Atkinson, Stoughton, Madison Area. We specialize in Residential and Commercial Real Estate. As realtors we provide a full service package, offering you much more than simply listing and marketing your home. 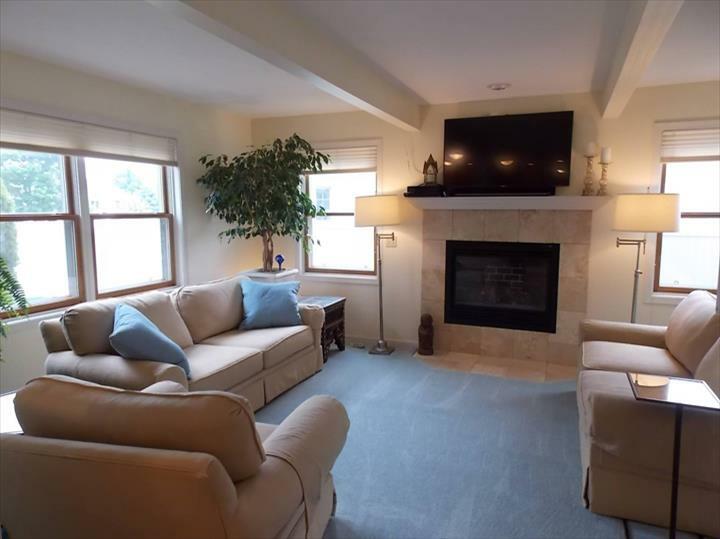 We believe in staging the homes prior to pictures, whether this mean moving your own personal belongings around or completely having things removed from rooms. We also have a large inventory of staging decor to help in getting that eight second first impression when they walk through the front door since 2011.